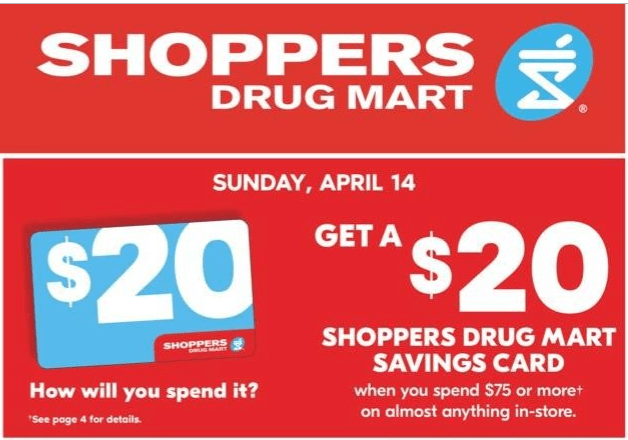 Shoppers Drug Mart Canada has a one-day deal available today, that includes: Get a $20 Shoppers Drug Mart savings card when you spend $75 or more on almost anything in the store. This offer is valid today only, Sunday, April 14, 2019. The savings card is not a gift card. so you will need to be sure to use it before it expires.